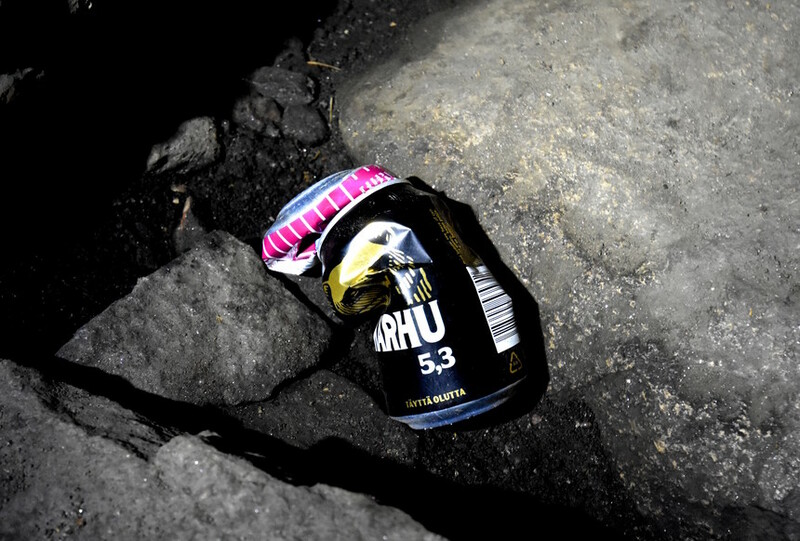 *Every* cave that I go to in Finland seems to have at least one beer can. Lets clean them up! Join me in bringing the junk out. I started out by taking stuff out of the Luolavuoren luola or the Cave Mountain Cave in Turku, as we were visiting it on a caving course. It isn't that complicated. Bring a small bag on every trip to a cave, and bring out the trash you see. Besides the ugly garbage, I was inspired in part to do this by the example set by the Swedish Plogga effort which was talked about at the Banff mountain film festival that I visited in Stockholm last week. Why not clean up garbage and other broken things when you see them? It is up to all of us. This article has also appeared in Blogspot. Tämä artikkeli löytyy myös suomeksi Relaasta. And all caving articles from the Planetcaver & Planetskier can be found at planetcaver.net! Photos (c) 2018 by Jari Arkko. All rights reserved.